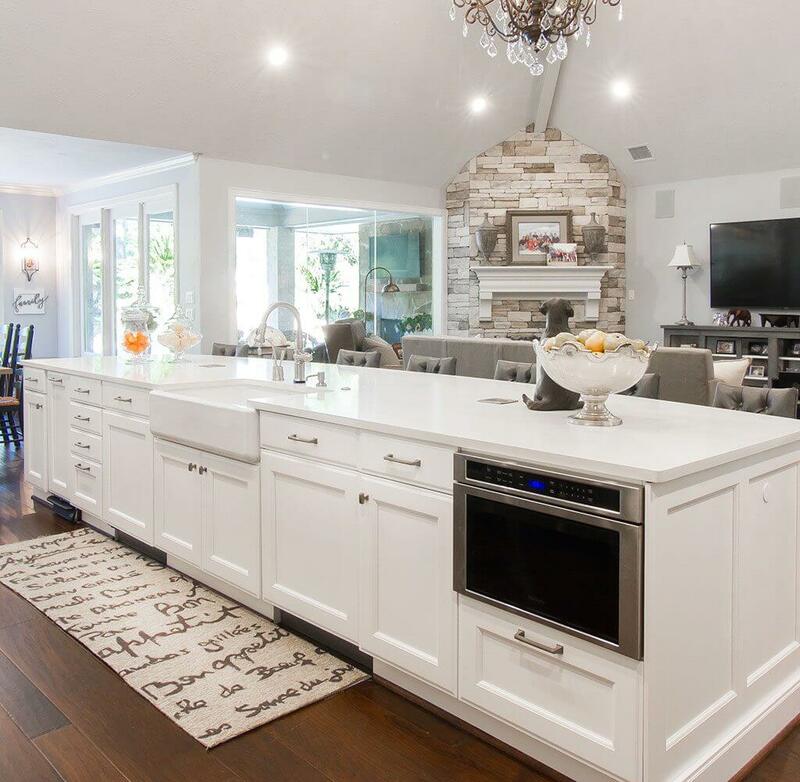 This multi-generational dream kitchen, winner of a 2017 ASID Ruby Award for “Best Kitchen” won by Paul Kevin Dix, has a traditional style white door-drawer cabinetry by Wood Mode with an opaque finish. 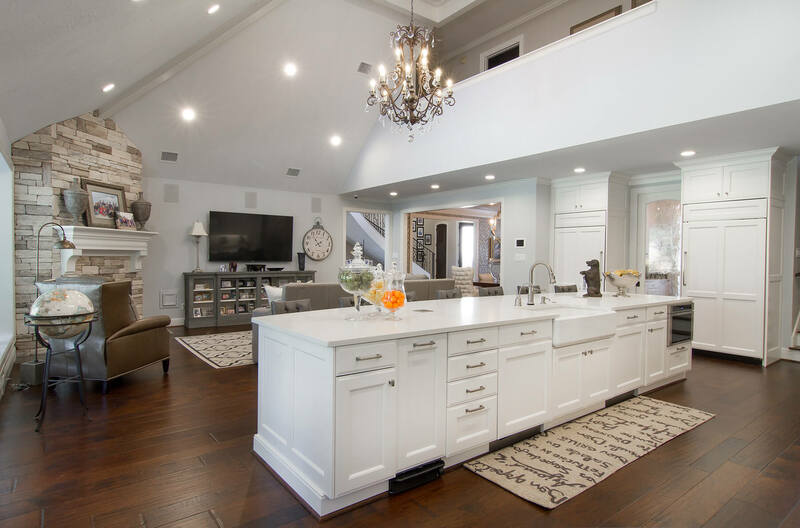 This all-white design enhances light and creates a bright space with high ceilings. 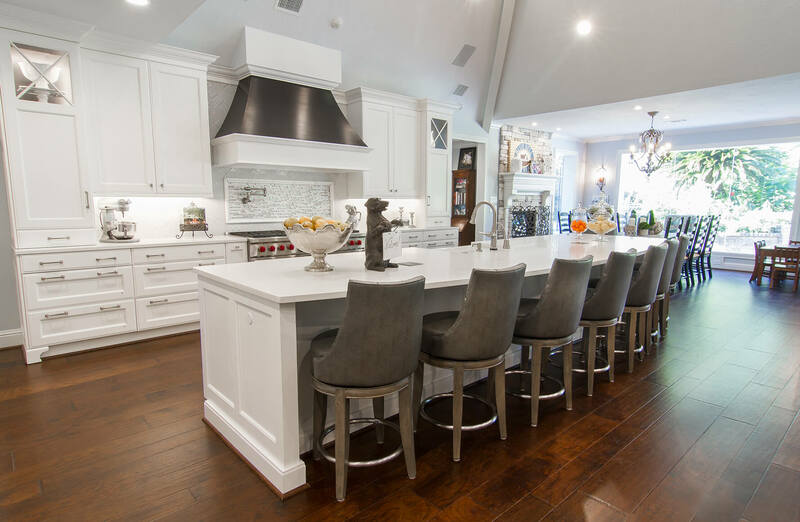 The kitchen was remodeled to accommodate heavy foot traffic and multiple cooks in the kitchen. Island was created specifically to accommodate eight people comfortably. 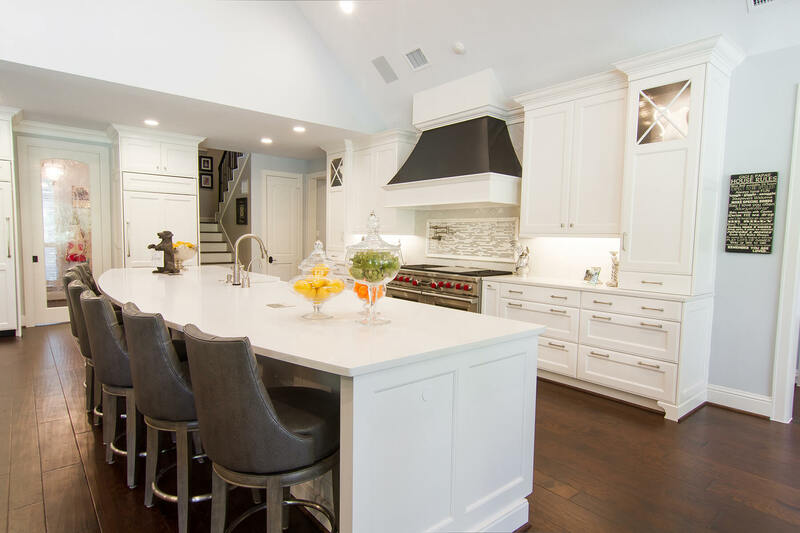 The focal point of this kitchen is the 60-inch Wolf Range with a custom vent hood and special finish. The refrigerator and freezer by Wolf and SubZero are concealed with paneling and frame the entrance to the new walk-in pantry featuring a custom glass door. Tall cabinets rest on a marble countertop with a glass upper section. 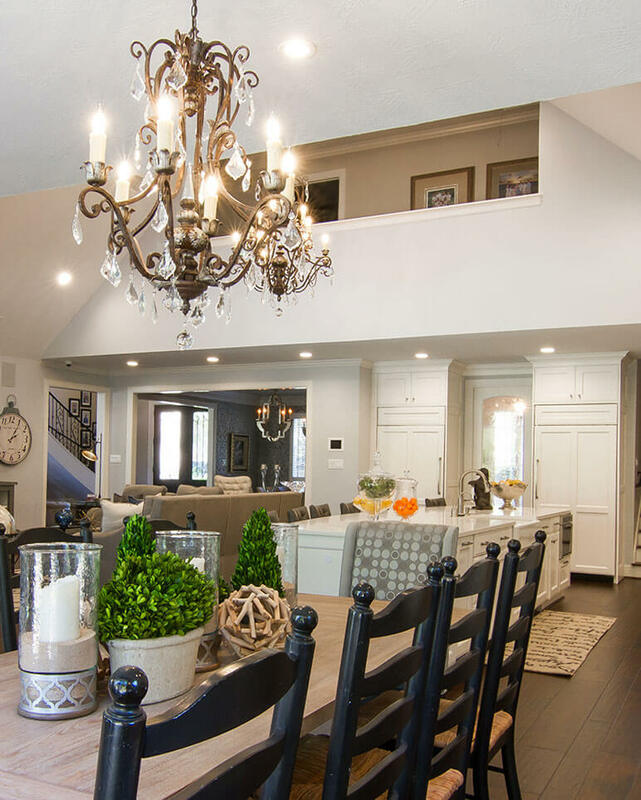 For display purposes, we added both interior and under-cabinet lighting. Wood-Mode Cabinetry featuring a Regency recessed-panel door style and maple wood species with a Nordic White opaque finish. Decorative wooden hood by Wood-Mode with opaque Nordic White paint on top and bottom trim and a Black Forest burnished finish on cherry veneer wood species on the concave portion of the hood. Brookhaven by Wood-Mode butler’s pantry with a Freemont, recessed-panel door style and maple wood species with a Nordic White opaque finish.